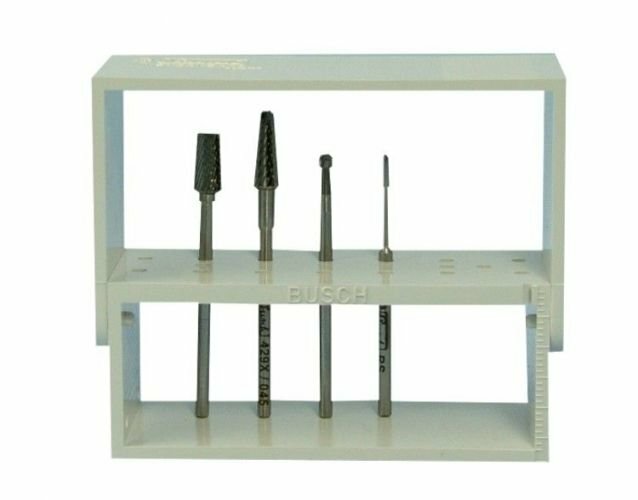 Busch - Stand with milling cutters <br>. It is made of very high-quality material. 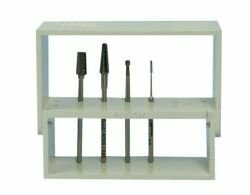 Invented specifically for displaying milling cutters, as well as for their safe storage, disinfection and sterilisation. 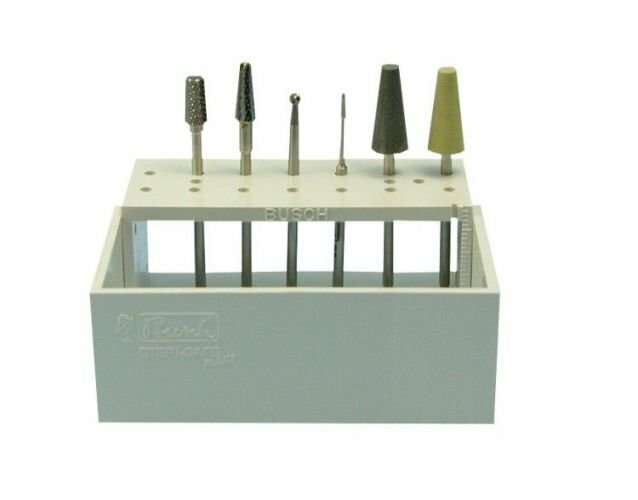 It is made of very high-quality material. 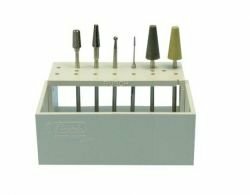 Invented specifically for displaying milling cutters, as well as for their safe storage, disinfection and sterilisation. 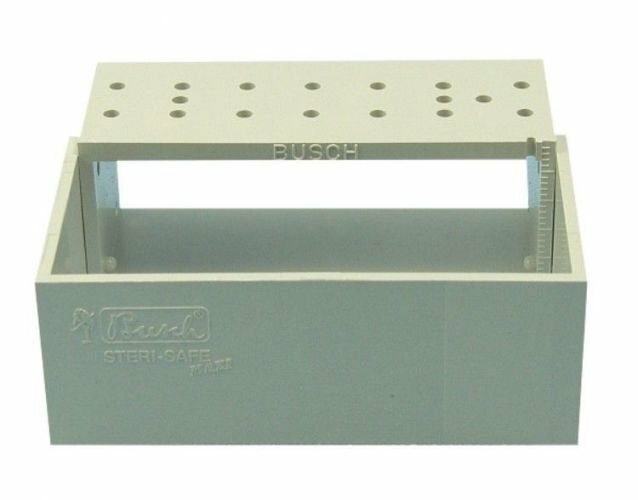 The fact that the stand may be folded ensures easy access to selected rotational tools and, particularly, protects them against damage during disinfection or sterilisation. It ideally fits the container for disinfection by Busch.